A tale of two hometown cities,Paris, France and Savannah, GA.
To borrow from Gertrude Stein, Savannah is my USA birthplace yet Paris is now my hometown. The similarities are striking. My grandmother lived her life in Savannah, hopping an open-air trolley when the tourist spirit moved her. Visitors to Paris call out “bonjour” to me from the open-top double decker buses, thrilled to be here as Savannah tourists love that beautiful city. My Mother and I lived in the historic Sorrel Weed house in Savannah when I was a young child. I walked alone to Independent Presbyterian Day School, stopping at a corner cafe for a cup of tea and a cake donut. Now I live in an old Boulevard Saint Germain apartment building, converted from horse stalls into dwellings between the two World Wars. Around the corner stands the petite French coffee shop where I go for coffee and a little cake. Turning left on the downtown Savannah corner by the Chatam Club and entering historic Savannah, friends oohed and awed over the striking sites that to this day never fail to move me. Arriving in Paris from Charles De Gaulle airport, taxi drivers delight in taking the long route home, not for the extra fare, but to showcast the Eiffel Tower and Louvre at daybreak. Food used to take center stage in Savannah before chain restaurants invaded the city, the white-tablecloth Anton’s of my youth, Hester’s for a great steak, Gottlieb’s Bakery for a date-nut pastry. I still go straight to Johnny Harris’ for a pit barbeque sandwich when home, to Carey Hilliard’s for Brunswick Stew, River Street for a praline, and to Mrs. Wilkes for a boarding house-style southern meal. In Paris I head straight to the 13th arrondissement for an Asian meal at the renowned Lao Lane Zang, to favorite creperies near the Eiffel Tower and Montparnasse, to Kaiser for a hot Almond Croissant. Tourists still come here in record numbers as they do in Savannah. Recently a woman from Russia asked for directions to the Musée d’Orsay, thrilled to be in Paris. I remember being asked directions to the Juliette Gordon Lowe birthplace in Savannah, Girl Scouts young and older, overwhelmed to be on a Daisy’s house sojourn. A college friend told me she got goosebumps in Savannah when she sat where a famous person had held court. Here’s to never-ending goosebumps in both of my hometowns. Hey New girl, New women too, Paris welcomes you! Yes, the cheerleaders, sorority sisters, mean girls, and lifelong friends are in Paris too. That doesn’t mean the city of light won’t be welcoming and fun to expatriates-just be patient and flexible, and open to contradictions in finding your closest relationships and your routine. Welcome to the big city, small town, military base community known as Paris! We arrived in Paris in April 2005. 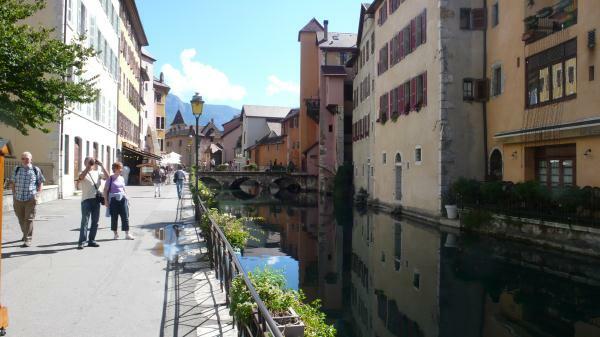 Having compulsively researched everything I could find about our new hometown, we headed out to a French-English conversation group coordinated by a well-known “rock star” American. I said “hello A…..” and she turned to me with a direct “do I know you?”. My first lesson- step back, some knowledge doesn’t necessarily mean instant familiarity. This “so-real” woman and I eventually became friends. She also taught me to be gracious, how to engage waiters in French bistros and restaurants, and referred me for a writing job. Fresh “off the boat,” we attended a potluck dinner hosted by a group of expats and English-speaking Europeans. ANOTHER NEWCOMER MISTAKE- I did RSVP but did not check with the hostess about what to bring. SO we created Chicken Marbella and arrived with our dish. The hostess pointedly told me I should have checked with her as she was serving rotisserie chicken from her neighborhood boucherie. Fortunately and unfortunately, our Chicken Marbella was the hands-down culinery hit of the evening. Another lesson was learned, not only about potlucks but not to step on the toes of Queen Bees. 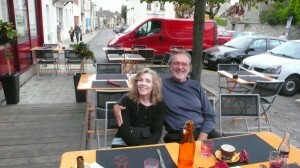 Years later, this generous potluck party host sat at by bedside when I was in a Paris hospital. QUEEN BEES, WANNABEES, BUS TRIPS AND HEAD TRIPS! I joined the American Women’s Group in Paris the first week I arrived and registered for a day trip via group bus to a fabulous chateau near Orléans. I happened onto an AWG member at a cafe near the bus meeting place, and without invitation sat by this aoman on the bus. She was a short-timer, leaving Paris soon after a three-year stay. I peppered her with questions, and she soon let me know just because she was the first woman I met she would not be my new best friend. The luncheon at the Chateau in the private dining room was wonderful, even though a woman described to me by another attendee as the” mean girl you knew in junior high school,” threw rolls across the table, and jumped up and a danced with other women while singing “we are bad.” That said, over the years I got to know this “mean girl,” a fun woman with much energy, and another woman who danced with her that day returned to Houston not long after Katrina and ran a help-line call center. Bravo. ANOTHER LESSON- don’t jump to quick judgement of others based on reputation or initial impression. Some women come here searching for the “players,” the popular girls, in “in” crowd. I came here seeking to live my late mther’s life, that of a military officer’s wife, going to luncheons, coffees, and alas, volunteering. I found my first opportunity through the American Women’s Group, a group I heartily recommend to newcomers and those here for a one to three-year stint. A note of caution, to thine own self be true. 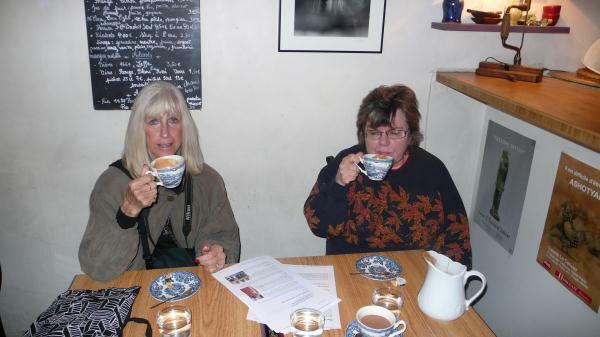 I soon tired of organizing coffees including cleaning up, fundraising, and board meetings-as a former Paris expat cautioned me-”serving on boards is too much like working without getting paid.” However, I enjoyed much of my volunteering and board time, and made many friends. Now I am a member of the Paris Alumni Network and WIC, the women’s international club, diverse groups offering great speakers and activities, more friends among newcomers and longtime Paris residents from all over the world. We moved to Paris for one year after retiring in Florida so here we are seven years later. While we love it here, saying hello is saying goodbye, just as I grew up on military bases. DON’T EVER FORGET, even in this midst of a saying goodbye pity party that if you haven’t moved to Paris you would not have met people from all over the world, some who will be your close friends and confidantes for the rest of your life. 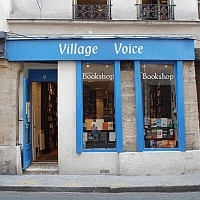 Search Fox news online, published July 31, 2012 for a most informative article by Paris writer David Lebowitz about things you might know about Paris. 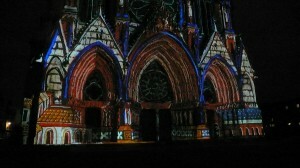 The Reims Cathedral light show. Reims celebrated its 800th anniversary with a sound and light show on the cathedral facade. 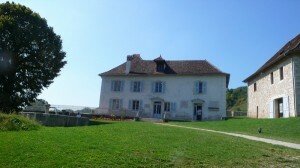 The Jewish children’s refuge in Izieu in the Rhone Valley near Lyon. From 1943 until Klaus Barbie, the butcher of Lyon raided the home in 1944, Sabine Zlatin and her husband Miron operated the home. 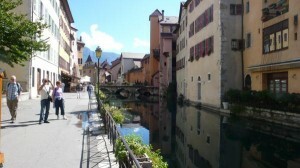 Annecy in the French Alps. In Paris with Joyce and Bill Frey, formerly of St. Petersburg, now living in Texas. Drinking hot chocolate in the Marais with Patricia Calvert.